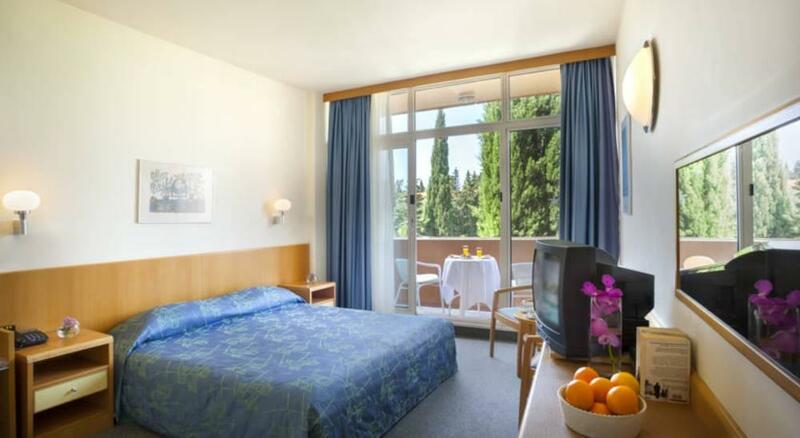 The Albatros is ideal for families, situated beside the beach and surrounded by unspoilt, green countryside. The hotel features a swimming pool, children's pool, kid's club, 2 restaurants and 2 bars as well as 9 tennis courts and a fitness room. 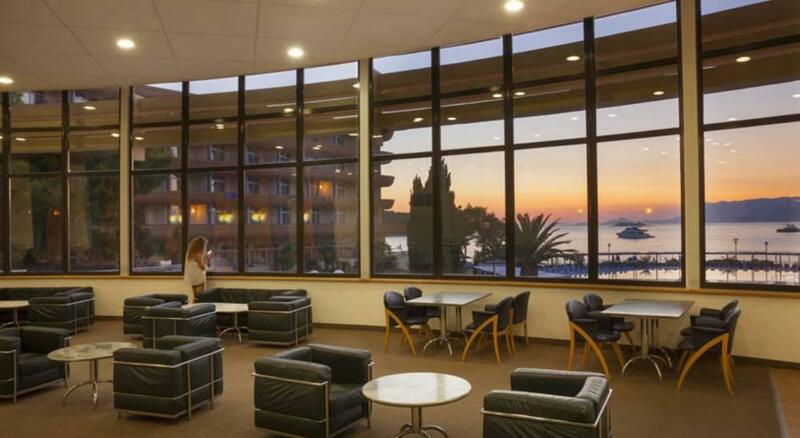 Facilities include a spacious lobby with reception, lounge bar, news kiosk and souvenir shop, 2 restaurants, outdoor swimming pool, children's pool, indoor pool (closed from 1st June to 30th September), a pool bar and a beach bar as well as a children's playground, beach volleyball, table tennis and kid's club (ages 4-12). 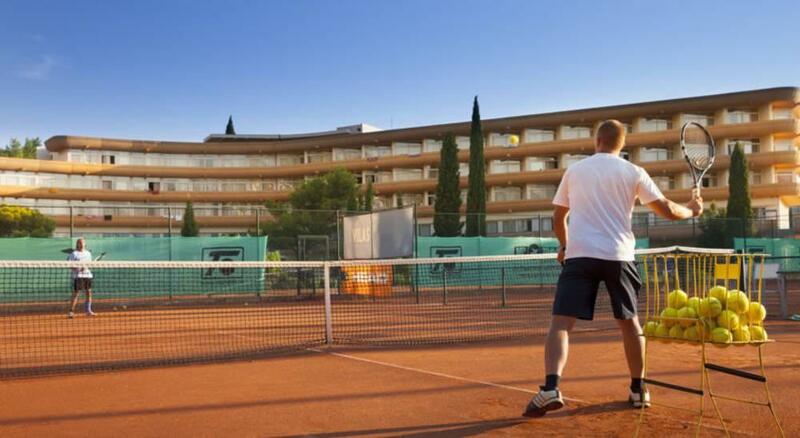 The hotel also features a fitness room, sauna, massages, 9 clay tennis courts (6 of which are flood lit) and tennis school (local charges apply). 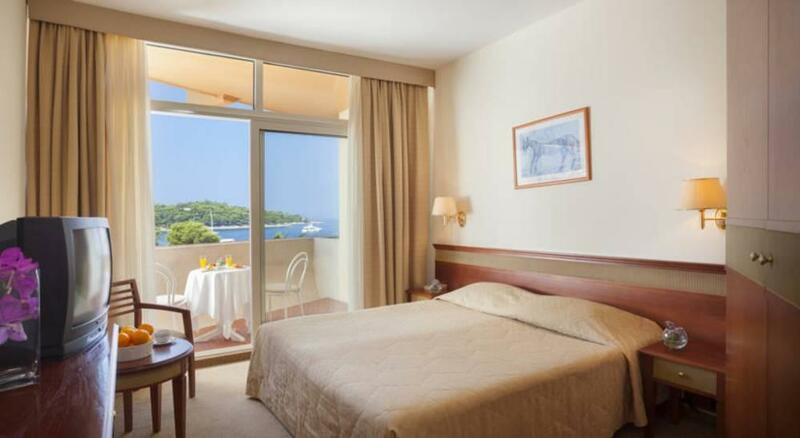 All 283 rooms are provided with private bathroom, telephone, satellite TV, mini-bar, safe, air conditioning (in July and August only) and balcony with sea views. Breakfast Buffet; Continental, Main Restaurant, Daily: 06:30 - 07:30. Breakfast Buffet, Main Restaurant, Daily: 07:30 - 10:30. Breakfast Buffet; Continental, Main Restaurant, Daily: 10:30 - 11:00. Lunch, Buffet, Snack Bar, Daily: 12:30 - 16:00. Snacks, Beach Bar, Daily: 12:30 - 18:00. Coffee Break, Snack Bar, Daily: 16:30 - 18:30. 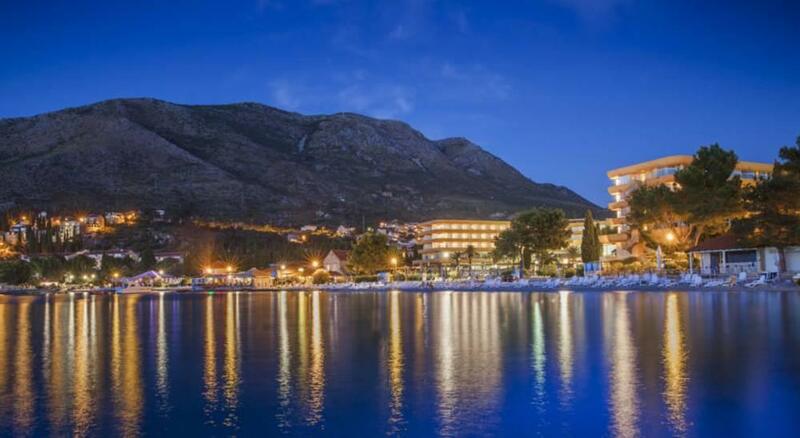 Dinner, Main Restaurant (Croatian Themed Night), Once a week: 18:30 - 21:30. Dinner, Buffet, Snack Bar, Daily: 18:30 - 21:30. Locally produced Alcohol; Locally produced non Alcohol, Soft drinks; Hot drinks; Beer; Wine; Cocktails, Snack Bar, Daily: 10:30 - 18:30. Locally produced Alcohol; Locally produced non Alcohol; International, Soft drinks; Hot drinks; Spirits, Beach Bar, Daily: 11:00 - 18:00. Locally produced Alcohol; Locally produced non Alcohol; International, Soft drinks; Hot drinks; Beer; Spirits; Cocktails, Lobby Bar, Daily: 10:00 - 00:00. Locally produced Alcohol; Locally produced non Alcohol; International, Soft drinks; Hot drinks; Beer; Spirits; Cocktails, Bar (Animation Terrace), Daily: 20:00 - 00:00. 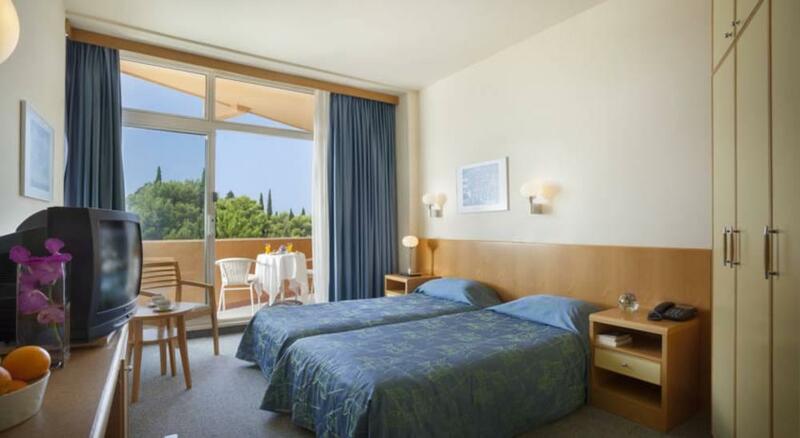 Ideally located as the the town centre is just 800 metres away and the airport is 10 km from the hotel. Food variety very limited. Nothing much for vegetarians. Staff not helpful. Hotel rooms quite run down. Fridge don't work in the room. No shower curtains. 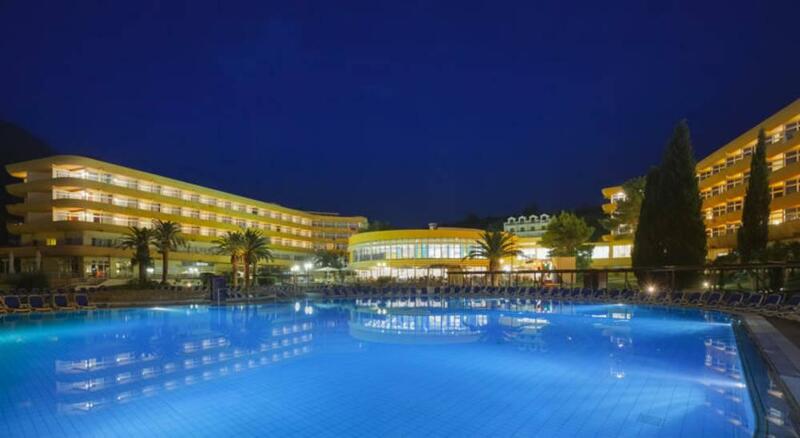 Unheated pool, cold food, over priced drinks, shabby old hotel in need of investment. Terrible small room, awful decor, food was disgusting. A bit dated, the balconies were a joke. Clean in all aspects, staff lovely, food fantastic choice, safe and fridge in room, location was good. This hotel is fabulous. The food was amazing and it was so clean. The staff are very friendly and can't do enough for you. Very pleased indeed. Would book again. In the whole a pleasant hotel with friendly staff. Would recommend asking for top 2 floors with sea view as outer side sea view rooms have minimal view and no balcony privacy. At meal times service is fine though we felt that during evening meals the drinks service seemed to favour the all inclusive guest. No wine menu, house wine charged in excess of what was quoted at entrance, and on requesting a half cravat was told only available to all inclusive guests. Hotel good, staff friendly. Problem at check in did not get rooms as requested but it was sorted following day. Hotel was very good. 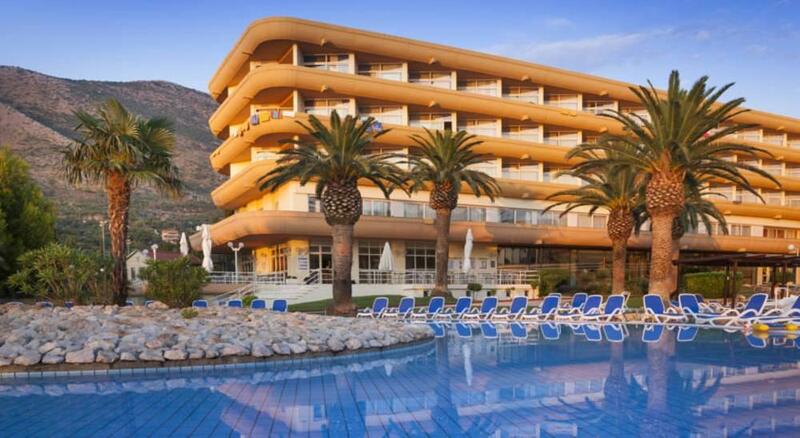 everything very clean, plenty of sun loungers, towels supplied for round the pool. Staff very friendly, dining room can be busy though have to chase about for seats, food good plenty of variety. Not many children when we were there. Lovely hotel, spotlessly clean and well maintained (a little dated but so what). The food was fabulous and so much of it and so varied (the noise level in the dining room was very loud but not sure of a solution). The room was very clean and towels changed daily. Staff were very friendly and helpful. (The reflexologist was very monosyllabic and unsmiling but good at her job but a smile would have been a bonus). The pools were beautiful but the sunbeds were so uncomfortable, if the sun had shone more I would have had to bring my duvet downstairs. The balcony was lovely, very private and views of countryside and sea and the sunset were idyllic. Trips to Dubrovnik, Mostar and Cipili were amazing and so much more interesting than the hard sunbeds. Cavtat was a very interesting and pleasant walk to a beautiful village/port. The tour organiser was so friendly and helpful, and so glad we did some of the tours. Constant hot water in the shower and all water was drinking water was brilliant. Good to have a safe in the wardrobe but everyone so honest but it is best not to take a chance. Everything worked well, it was an extremely organised hotel. 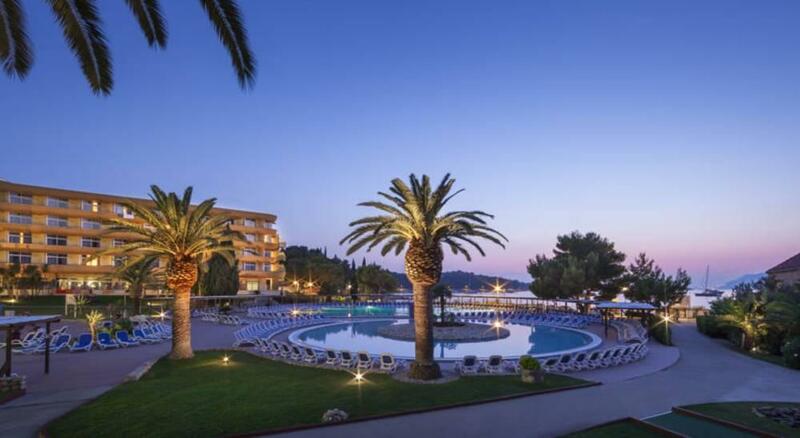 The staff were very hard working and spoke English well (have you seen Croatian written down never mind speaking it. Even the French did not speak Croatian). A working fridge would have been nice so that we could put the wine we bought at the bar could be cooled for our evening aperatif but we managed. The hotel was recommended to us by 2 separate friends and I would certainly recommend it to all our other friends. We had awful weather even the locals were cold but there is so much to see and so much history. Ee had a marvelous holiday in spite of the weather. Joan Gaskell, May 13th to May 20th 2014.